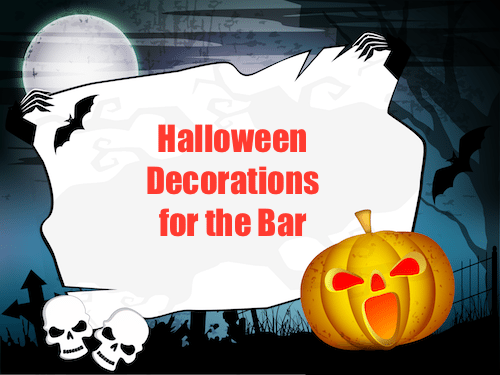 Here are some cool bar decorations for Halloween that you can use this October. 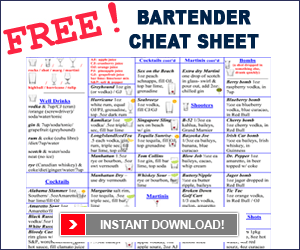 As with any promotion that you run in your bar, it needs to be done well and it needs to involve all your staff. From the initial promotion of the event down to the costumes and enthusiasm needed on the day of the event – your staff can be thee determining factor when it comes to the success of your event. The staff part you’ll have to take care of yourself. We’ll try to give you a hand with the decoration part of it though. If you’re going to throw a Halloween party, you need to have decorations – otherwise, it’s just a bunch of people dressed weird. These things can be bought at Walmart or you can rent one from your local party supplies shop. Set this up near the DJ booth and have it smoke out the dance floor all night. This stuff can be tough to get sometimes and can be dangerous to handle – so if you do it, BE CAREFUL. A cool effect you can do with dry ice is put it in Jack-O-Lanterns. The ‘smoke’ coming out of the holes in the pumpkin looks really cool. A cheap way to dress up your bar is to go out and get a couple garbage bags full of leaves. Scatter them around the bar to give your place a kind of graveyard feel. The drier the leaves are the better – the crunching when people walk on them really kicks up the scare factor. For some reason, corn fields are scary places. So, if you live in an area with a bunch of corn fields, see if there’s any lying around on the ground (it should already have been harvested) in these fields. Once you get your hands on some, then stand them up and attach them to the walls in your place – either by a piece of string and a staple gun or just the staple gun. If you have a lot of windows in your bar, try getting a bunch of black garbage bags and blacking out the place. You can cover just the windows or you can black out your entire bar. Don’t forget to check out our Halloween Party Drinks and Halloween Drink Garnishes. If you liked our bar decorations for Halloween ideas, please share and comment below. And if you have any great Halloween decoration ideas of your own, our readers would love to hear about them.